or she is lost. No matter what you do there seems to be pain. 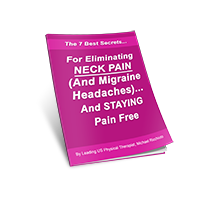 <<<CLICK HERE>>> to download the FREE book “The Top 10 Health Tips to Avoid Surgery”. 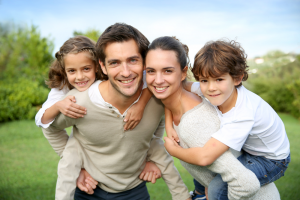 So there are many sources of low back pain but one of the biggest problems with having low back pain in Pittsburgh, PA is that people think that there is the same solution for just about everyone. Can you imagine if you took your car into the mechanic and he said that you needed a muffler on your car and then he told every single person with every make and model of every car that they need a muffler to fix their car. That of course would be crazy. 1). Is my Sciatica going to go away on it’s own? The answer is NO. You will have waxing and waning periods of leg and low back pain relief but the pain will be back without professional help. 2.) If I don’t get help for my Sciatica will my condition ultimately get worse? The answer is YES. Sciatica is not a condition that will “just go away”. Ultimately there is an underlying problem that needs to be resolved. If you are experiencing lower back pain that refers into the groin, down your leg to your foot or any combination then call our office at (412) 794-8352 to talk about your condition. 3.) Can physical therapy cure sciatica? The answer is YES. In many cases with the guidance of physical therapy sciatica can be completely cured and you can get back to a better lifestyle. The good news is that physical therapy involves natural cures with the ability to heal your body without the need for taking medications, getting shots, and no surgery. 4.) What if physical therapy can not help? In some cases physical therapy can not help your sciatica. This will be discovered within the very first visit with the physical therapist. Many people will schedule a “Discovery Visit” with our office. This is a 30 minute consultation to find out if we can help you or not. 5.) Can physical therapy hurt me or make my condition worse? In almost every case NO. Physical therapy involves gentle approaches to eliminating the pain that makes you BETTER without using medications, shots, or surgery. If physical therapy can’t help then your condition most likely will not have changed. 6.) Is there more than 1 cause of sciatica? Yes. There are many reasons why someone experiences sciatica and it depends upon many factors that are specific to the individual. It will take a full physical exam by the physical therapist to determine the reason why you are experiencing pain and what is the source. 7.) Do I need a referral to schedule an exam? 8.) Could my back and leg pain be due to a herniated disk and give me the same symptoms as sciatica? YES. In fact, the same nerves involved in sciatica also can be involved when a disc in the low back herniates. Sciatica describes an inflammation of the sciatic nerve that originates from the L1-L5 nerve roots. The same ones that might be impinged when a disk herniates. 9.) How long does it take to heal sciatica? This depends upon your specific problem but usually less than 2 months. 10.) Is there a way to talk about my condition to see if physical therapy can help my sciatica? YES. We offer a FREE Discovery visit. This is a 30 minute live conversation about your condition at our office with a physical therapist who specializes in the lumbar spine. This is a chance to see if you are a fit for physical therapy treatment and all questions can be answered about your specific condition. There is NO obligation to do anything but to learn about what is going on with your body. Because our office is busy treating patients everyday we schedule only two Discovery visits per month so <<<Click Here>>> to see if we have any availability this month. 1) Lumbar disk tear- The spine is comprised of bony segments called vertebrae, a disk that is like a gel filled cushion, ligaments and muscles. When the outer fibers of the “annulus” of the disk are torn that occur through quick unexpected movements of the spine, pain can occur. This pain is often felt as “sharp” and immobility of the body soon follows. Some people have this feeling and rerport that they have “slipped a disk” but often this is not the case. 2) Lumbar disk bulge- When there is disruption to the internal compartments of the disk, a disk may protrude and lay on a nerve that is close to the spine. 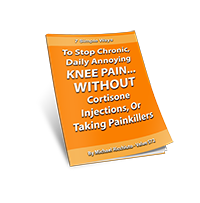 Often people have the feeling of “pins and needles” or “numbness” in their lower extremities. This can be inconsistent or consistent in nature. 3) Muscle strain- There’re hundreds of muscles that attach to the spine and injury to these muscles can cause a “tightening” of the spine. Many of these muscles cannot be felt and lie deep to the surface. 4) Lumbar degenerative disorders- Sometimes the bones of the spine become worn and the surfaces of the cartilage that protects the bony ends from rubbing on one another becomes degraded. When the bony ends press on one another they create inflammation, pain and more degradation. 5) Ligamentous tear- Ligaments are connective tissue that attach bone to bone. Sometimes ligaments will become torn through trauma and/or degeneration and will create pain in the spine. The good news is that most conditions of the spine can be treated without the need for medication and surgery especially at the first hint of pain that is experienced by an individual. Lumbar spine pain often resolves without the need for intervention only to return a short time later if the cause is not addressed appropriately. In Pittsburgh, PA this is why your persistent low back pain will NEVER get better….unless you do this! Persistent low back pain is very common in Pittsburgh but there is so much that can be done to cure low back pain without the need for medication, injections, and surgery. The key to any condition is to take proactive steps to avoiding choices that will only mask problems until they return over and over. In this short video we discuss the reason why your low back pain will not go away….unless you do this! So there are many sources of low back pain but one of the biggest problems with having low back pain is that people think the same solutions are for everyone even if someone is told that they need spinal surgery. 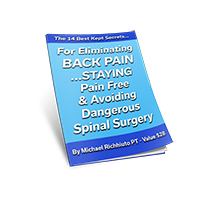 IF YOU ARE HAVING LOW BACK PAIN THEN YOU MUST KNOW THESE 5 THINGS ABOUT SPINAL SURGERY! 1.) Spinal surgery should be considered a “last resort” to ending low back pain. If you have not tried conservative treatment like physical therapy then this must be done first. In fact, many insurances insist that up to 6 months of physical therapy be performed before spinal surgery is considered. 2.) Spinal surgery is not a long term cure for spinal pain. Many individuals believe that having spinal surgery will eliminate their pain and this is not the case. Low back pain can return and in many cases gets worse after surgery. A combination of physical therapy, lifestyle changes, exercise, and nutritional changes, must occur to assist in a successful outcome. 3.) When you have spinal surgery your body has been modified from the body that you were born with. What this means is that if there are parts of the spine that were meant to move and now have been forced to be stationary during surgery then the body will find ways to achieve the lost motion at other joints. In the long run the new biomechanics will then can degenerate other joints of the body prematurely like the hips, knees, other parts of the spine and shoulders. 4.) If you are rushing to spinal surgery because this has been the only option provided to you by your healthcare provider then let’s discuss your problem and find an appropriate conservative solution first. Click here for a FREE 15 minute phone discussion of your problem. 5.) You have to work very hard physically after spinal surgery to become pain-free and many times being “pain-free” is never achieved. There are also complications of surgery that must be considered for every individual. A comprehensive long term plan for your spine must be developed. Having a healthcare practitioner simply tell you that you need spinal surgery is not an acceptable long term plan. 1) Lumbar disk tear- The spine is comprised of bony segments called vertebrae, a disk that is like a gel filled cushion, ligaments and muscles. When the outer fibers of the “annulus” of the disk are torn that occur through quick unexpected movements of the spine, pain can occur. This pain is often felt as “sharp” and immobility of the body soon follows. Some people have this feeling and report that they have “slipped a disk” but often this is not the case. 2) Lumbar disk bulge- When there is disruption to the internal compartments of the disk, a disk may protrude and lay on a nerve that is close to the spine. Often people have the feeling of “pins and needles” or “numbness” in their lower extremities. This can be inconsistent or consistent in nature. 4) Lumbar degenerative disorders- Sometimes the bones of the spine become worn and the surfaces of the cartilage that protects the bony ends from rubbing on one another becomes degraded. When the bony ends press on one another they create inflammation, pain and more degradation. 5) Ligamentous tear- Ligaments are connective tissue that attach bone to bone. Sometimes ligaments will become torn through trauma and/or degeneration and will create pain in the spine. The good news is that most conditions of the spine can be treated without the need for medication and surgery especially at the first hint of pain that is experienced by an individual. Lumbar spine pain often resolves without the need for intervention only to return a short time later if the cause is not addressed appropriately.